In this Nov. 30, 2009, file photo, Nataliya Magnitskaya holds a portrait of her son, Russian lawyer Sergei Magnitsky, a lawyer who died in jail, as she speaks with The Associated Press in Moscow, Russia. Russian President Vladimir Putin's offer of mutual assistance in criminal investigations with the United States this week might have sounded diplomatic — President Donald Trump called it an "incredible offer" on Monday and the White House took it seriously. But in Congress and the diplomatic community, it was received like a bat to the head. Many argued that by cooperating Trump would be exposing Americans serving their country to made-up charges just for doing their jobs. And on Thursday, after days of bipartisan backlash, the White House officially shot the idea down. Behind Putin's offer appears to be an focus on a six-year-old U.S. sanctions law called the Magnitsky Act. In making the proposal at Monday's summit in Helsinki, Putin said that Russia would be interested in questioning people connected to William Browder, an American-born British banker who successfully pushed the U.S. to enact the bill in response to the death of a Russian whistleblowing lawyer who'd worked for Browder. The Magnitsky Act sanctions Russians linked to Sergei Magnitsky's death and other gross violations of human rights as a way of combating corruption. The sanctions are now believed to have affected Putin's personal finances, and some people — including the man who implemented them at the State Department — have linked the Kremlin to a Russian lawyer lobbying the Trump campaign to remove the sanctions at a June 2016. "The Russians have gone to enormous lengths to undermine the Magnitsky Act," said former U.S. Ambassador to Poland and career diplomat Daniel Fried, who was in charge of implementing the act as the State Department's sanctions coordinator starting in early 2013. He was a Russian tax lawyer working for Browder, a heavyweight hedge fund manager whose Russian firm was raided by federal investigators when he began speaking out against corruption that was becoming endemic in the country. Browder wanted to investigate, so he hired Magnitsky, a father of two whom Browder has testified was "the smartest Russian lawyer I knew." Magnitsky found that $230 million the firm had paid the government had been diverted to holding companies re-registered to a known criminal. When Magnitsky filed complaints about it, he was arrested by the same law enforcement officers he alleged took the money. 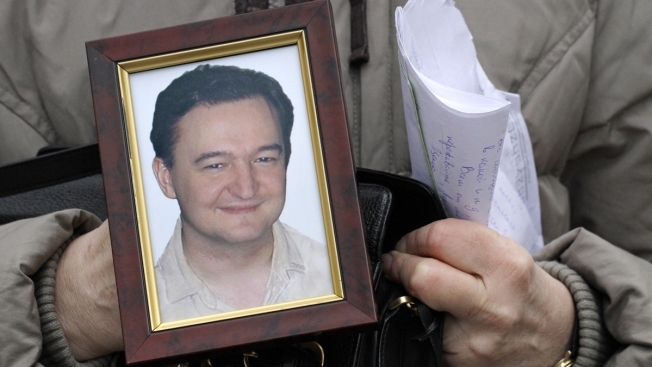 Magnitsky was imprisoned, held without trial, denied medical care, beaten and left to die in 2009 at 37. He was convicted posthumously along with Browder, who was tried in absentia. Amnesty International called the posthumous trial "kafkaesque." 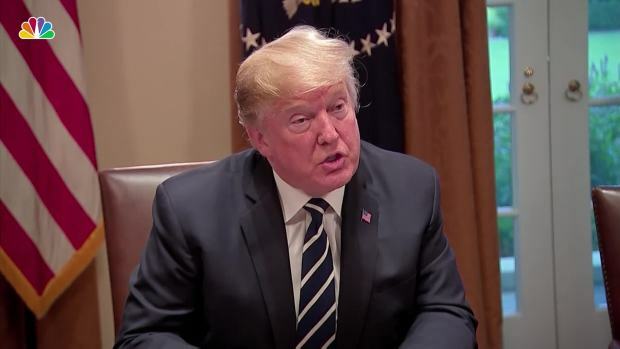 President Donald Trump said Tuesday that he misspoke during his summit with Russian President Vladimir Putin in Helsinki, Finland. Trump said he does "accept" the intelligence community's conclusion that Russia meddled in the 2016 election. Trump also said he needed to clarify that he didn't see a reason why the meddling "wouldn't be Russia." Trump had said the opposite a day earlier, prompting bipartisan backlash. Browder took up Magnitsky's cause with the U.S. government, hoping to bring accountability to Russia. His lobbying resulted in the Magnitsky Act, short for the Sergei Magnitsky Rule of Law and Accountability Act of 2012. According to the law, what happened to Magnitsky "appears to be emblematic of a broader pattern of disregard for the numerous domestic and international human rights commitments of the Russian Federation and impunity for those who violate basic human rights and freedoms." The act enables the U.S. president to identify people who were responsible for, concealed or benefited financially from Magnitsky's detention, abuse or death; they can no longer enter the U.S. and their assets in the U.S. are frozen. The act also enables the U.S. to sanction other Russians connected to similar violent human rights abuses against whistleblowers or others exercising human rights. You can see who's been hit with Magnitsky sanctions by searching on this page under the program "MAGNIT," a list of 49 people that includes authoritarian Chechen leader Ramzan Kadyrov. Other countries have passed similar laws, including the United Kingdom and Canada. Browder has been lobbying even more nations to adopt similar rules. The U.S. followed up the Magnitsky Act in late 2016 with another bill that expands the scope of the sanctions to anyone in the world, including government officials who order or are complicit in significant corruption. WHY WOULD THE ACT HURT PUTIN? The Magnitsky Act turned out to be more important than U.S. officials realized at the time, Fried said. In 2012, Putin wasn't directly tied to the millions Browder said was taken from him, but financial documents leaked in the Panama Papers indicate he benefited through an intermediary, Fried said. 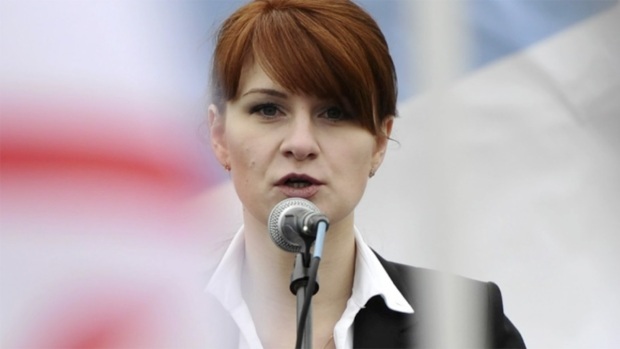 A 29-year-old gun-rights activist served as a covert Russian agent while living in Washington, gathering intelligence on American officials and political organizations, federal prosecutors charged Monday. "If Putin himself was somehow involved in the looting of Browder's company and the siphoning of his funds for his own personal use," Fried said, "it explains his animus against Browder and the lengths they are willing to go" to take down the sanctions. Fried pointed to the June 2016 Trump Tower meeting as another instance of Russia lobbying to remove the Magnitsky sanctions. In that meeting, Donald Trump Jr. and other Trump campaign officials met with a Russian lawyer who had offered dirt on Hillary Clinton. The lawyer, Natalia Veselnitskaya, ended up discussing a ban on U.S. citizens adopting Russian children that the Kremlin enacted as retaliation for the Magnitsky Act. Veselnitskaya once worked on a documentary that smeared Magnitsky, and she was accompanied at the meeting by a former Soviet counterintelligence officer. The meeting, and the Trump administration's changing story on who attended and what happened, are a part of special counsel Robert Mueller's investigation into Russian interference in the 2016 election. 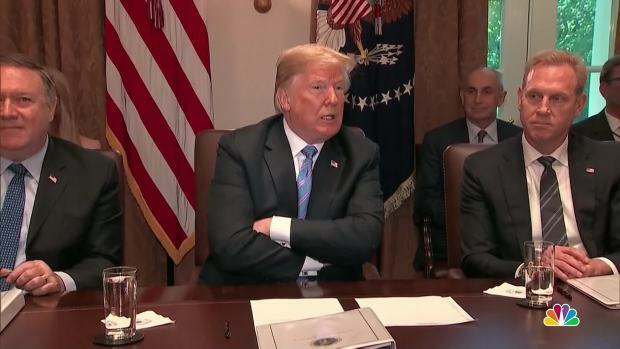 The subject of adoption also came up in a conversation between Putin and Trump a year later, when they talked privately at the G-20 in July 2017, Trump told The New York Times afterward. "I actually talked about Russian adoption with him, which is interesting because it was a part of the conversation that Don [Trump Jr.] had in that meeting," Trump said. Fried noted that "any time the Russians raise the issue of adoptions, what that really means is they're raising the Magnitsky Act." There is other evidence of Russia's interest in lifting U.S. sanctions, which extend beyond the Magnitsky Act to punishment for the annexation of Crimea. Trump's first national security adviser, Michael Flynn, was fired for not being forthcoming about discussions he had with the Russian ambassador about lifting sanctions. Flynn later pleaded guilty in the Mueller probe for lying to FBI agents about those discussions. And Fried said last year that others at the State Department warned him that Trump's team had planned to "unilaterally rescind the sanctions on Russia." Another former diplomat told NBC News that he believes the Trump team backed off after he and Fried lobbied Congress to put the sanctions into law. The White House had no comment at the time of that report. It has also made use of the Russian and global Magnitsky sanctions programs, listing more individuals in December 2017, which the White House touted Tuesday in a list of things Trump is doing to protect U.S. elections and stand up to Russia. Russia and the U.S. don't have an extradition treaty for suspected criminals, but Putin offered American prosecutors the chance to "come and work" with Russian investigators to question 12 Russian military intelligence officials who Mueller accused of hacking Democrats' emails in the 2016 election. He said he might ask in return to question Browder, with U.S. agents allowed to be present. Asked at the White House if Russia is still targeting the United States, President Donald Trump appeared to say “no.” White House Press Secretary Sarah Huckabee Sanders said later that Trump was saying “no” to answering questions. Browder and his associates, Putin claimed without evidence, donated $400 million in tax-free Russian earnings to Hillary Clinton. That is an implausibly large amount, given it would account for more than half of her campaign's spending, according to one election finance watchdog. Browder denied that claim, saying in an essay for Time that it's one of many baseless allegations Putin has made against him, and that it shows how desperate Putin is. "These people are ready to kill to keep their money. Losing it would be devastating," he said. While diplomats and others called the idea of cooperating in that criminal investigation preposterous, Trump at least considered the request. White House press secretary Sarah Huckabee Sanders confirmed Wednesday that "there was some conversation about it, but there wasn't a commitment made on behalf of the United States." The State Department was on a different wavelength. Minutes after Sanders spoke, a department spokeswoman called the proposal "absurd" and said she would understand why members of the diplomatic community might feel concerned about it. That included former U.S. Ambassador to Russia Michael McFaul, one of the people Putin was seeking to question. He said Thursday that the U.S. shouldn't allow "the moral equivalency between what Mr. Mueller did in his indictment and this cockamamie, crazy scheme that it sounds like President Putin spun up to Trump in their private meeting and then told the world in their press conference." Also on the Russian prosecutor general's list, as reported in Russian state media, include a Senate aide who worked on the Magnitsky Act, a CIA agent and current and former U.S. employees. Plenty of other top American officials dismissed the offer as ridiculous, from Democrats and Republicans in Congress up to Secretary of State Mike Pompeo, who said in an interview Thursday, "It's not going to happen." By Thursday afternoon, the White House put the issue to bed, saying, "It is a proposal that was made in sincerity by President Putin, but President Trump disagrees with it." Still, the Senate voted 98-0 to rebuke the idea of a current or former public servant being made available for questioning by Putin's government. Browder tweeted Friday morning that all the attention Putin brought to the Magnitsky Act was good news for his cause. "The best by-product of Putin attacking me in Helsinki is that it showed how rattled he is by the Magnitsky Act. His public outburst will significantly increase the chances of getting 8 other countries to pass," he tweeted. WHAT'S THE HARM IN WORKING WITH RUSSIA? When Congress passed the Magnitsky Act, it established that the U.S. should support and assist Russians in maintaining a democracy that protects human rights and stand up against Russia's suppression of dissent and political freedoms. Putin's attempt this week to interrogate Americans working to promote human rights in Russia is reminiscent of the way Sergei Magnitsky was silenced for speaking out, said Paul Stronski, director for Russia and Central Asia on President Barack Obama's National Security Council between 2012 and 2014 and now a senior fellow at the Carnegie Endowment for International Peace. "This is Russia creating at times trumped-up charges against Americans that they don't like," Stronski said. Fried said it was "shocking to think that the White House is even considering handing over American officials who have been accused of nothing other than good service." Stronski called it "outrageous" and dangerous. The danger stems from taking seriously Russian charges that come with no evidence, he said — a stark contrast to the 29-page indictment that Mueller released last week. Trump could have avoided making the mistake if he'd prepared a response to this kind of request ahead of time or involved aides instead of meeting Putin one-on-one, according to Stronski. "You would think Trump would also be concerned about a successor to him — are they going to go after his officials as well? But there doesn't seem to be any thought about that," he said. As for the Magnitsky Act, Stronski said it's not clear the legislations has been effective in achieving its goal. "We have not seen an improvement in Russia's human rights behavior, but I think it is a clear signal to the world that we are watching gross violations of human rights," he said, calling it a "useful tool to have in our toolkit."